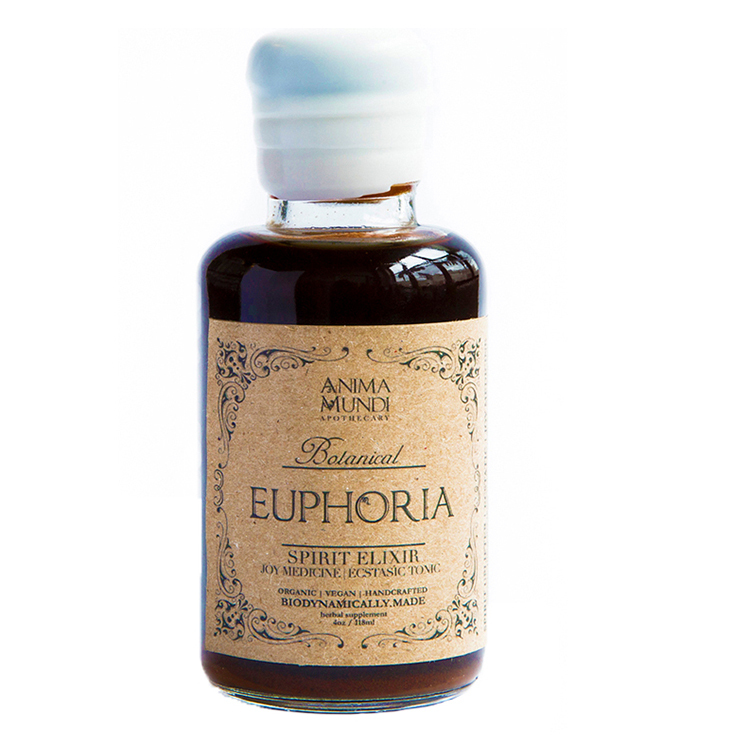 Euphoria by Amina Mundi is a tincture designed to awaken feelings of sensuality, loving awareness, and arousal of the spirit. Powerful plant extracts are masterfully blended to encourage sensations of lightened energy, boosted circulation, and nourishment of the reproduction organs. This delicious tonic is meant to be shared between lovers, or to simply awaken feelings of love and joy within your own heart. 1-2 tsp per serving. Enjoy as needed. Use daily as a joy tonic, and for special occasions with your beloved. Enjoy on its own, or in a juice/ smoothie /mocktail. Muira puama*, Catuaba**, Hibiscus*, Damiana*, Gogi berries*, Yohimbe**, Rose petals*, Shisandra berries*, Night blooming jasmine*, extracted in Vegetable Glycerin and filtered water.